Anderson Island is an island of 1,000 residents in Pierce County, Washington. It is the Puget Sound's southernmost island, south of McNeil Island and Kitsap Peninsula, and west of Tacoma and Lakewood on the mainland. A ferry is available to Steilacoom across the Nisqually Reach; other islands and parts of the state are accessible by boat. 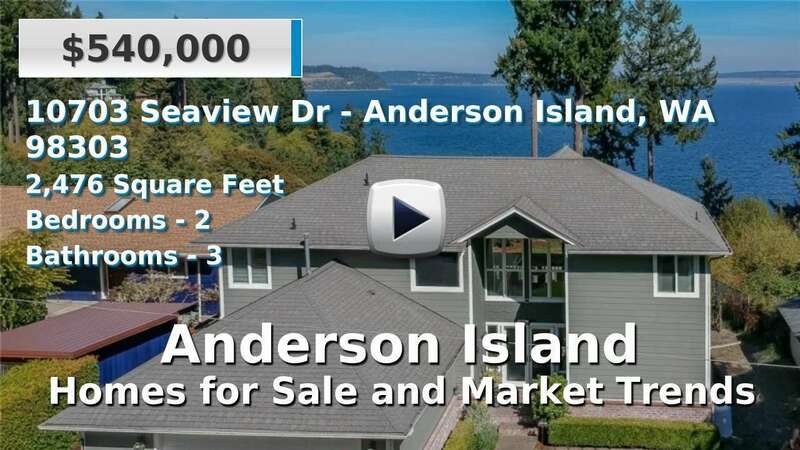 Most homes for sale on Anderson Island are recently built and while the community has grown, it still remains a quiet and scenic place to live. 2 Beds | 2 Baths | 1313 sq. Ft.
2 Beds | 3.25 Baths | 1308 sq. Ft.